Montevideo, the Uruguayan capital, is a perfect playground for tourists. European-style architecture of the museums, Downton Abbey-ish experience in the old town, and unpretentious vibe on the beaches are the undeniable features of Montevidean identity. 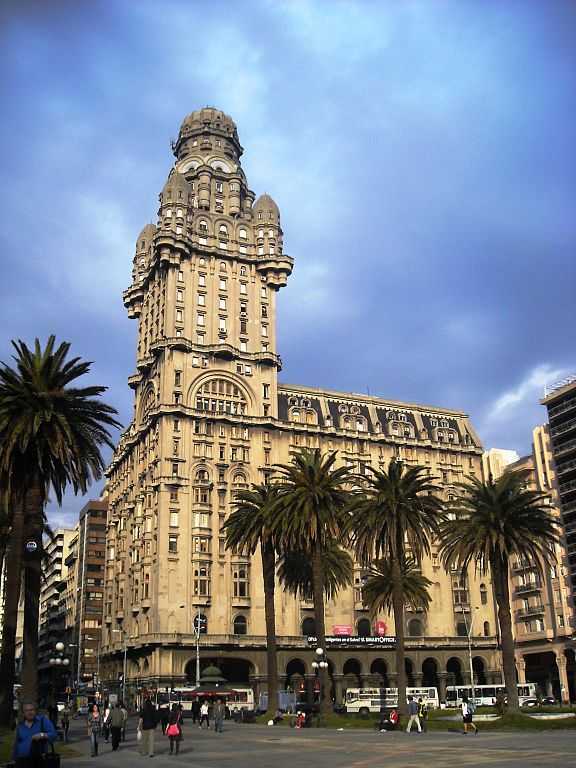 From the grand boulevards to numerous cafés, Montevideo is a contemporary metropolis. Born out of the rivalry between the Portuguese and Spanish, this Uruguayan capital is a perfect playground for tourists. Overshadowed by two cultural giants – Argentina and Brazil – Uruguay is perhaps the most underrated travel destination in Latin America. Plaza Independencia – This is an open-air public space that is located between downtown Montevideo and Ciudad Vieja (old city.) Some of the most important buildings such as the Executive Tower, Palacio Estévez, and 100-m-tall Palacio Salvo are located around this square. Museums – Museo del Carnaval exhibits collection of costumes, masks, drums, photos, and recordings. Juan Manuel Blanes Museum displays Uruguayan art and the works of Juan Manuel Blanes, Pedro Figari, and Rafael Barrads. Museo Torres Garía, Palacio Taranco, and Museo Nacional de Artes Visuales are other prominent museums that feature artworks, writings, paintings, and tapestries. Galleries of Museo del Carnaval showcase Murga, Candombe, and Carnival. Ciudad Vieja – Several national historic sites such as museums, government headquarters, and places of worship are located in this oldest and historic heart of the city. Ciudadela is a gateway and one of the few remnants of the wall that once surrounded this area. Solís Theater (Teatro Solís) – Opened in 1856, it is the oldest theater in Uruguay. Immersed in old-world splendor, this theater is the best venue to watch national opera, concerts, and modern dance performances. Furthermore, Auditorio Nacional Adela Reta is a contemporary auditorium that also hosts live musical concerts and ballet shows. Fortaleza del Cerro – Perched on a hill 134 meters above sea level and overlooking the Montevideo Bay, this fortress is in the neighborhood of Casabó. It’s a well-known tourist attraction as it provides panoramic view of the city. 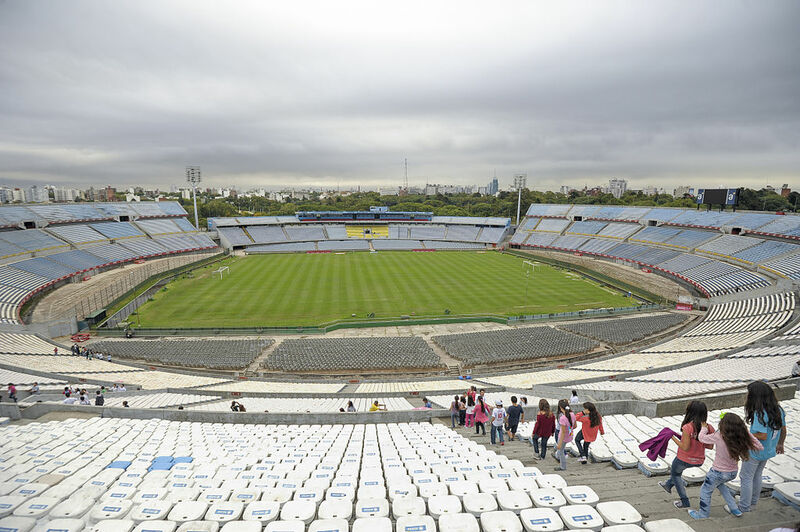 Among other must-visit landmarks in Montevideo are Plaza Zabala, Montevideo Metropolitan Cathedral, Teatro de Verano, Estadio Centenario, Museo Naval de Montevideo, Palacio Legislativo, and Punta Brava Lighthouse. Beaches – Playa Pocitos is a white-sand beach and only 10 minutes away from the city center. Favored by youngsters, this beach is ideal for swimming, sunbathing, and beach volleyball. The Ramirez Beach is just a short walk from the old town. Buceo Beach and Malvín Beach are also among Montevideo’s most picturesque and tranquil beaches. Shopping Destinations – Mercado del Puerto is a port market, especially bustling on weekends. You can bargain for traditional souvenirs, antiques, and timeless finds, while savoring fresh seafood. Sunday flea markets at Feria Tristán Narvaja, Mercado Agrícola de Montevideo (MAM), and city’s largest shopping mall Punta Carretas are other places to dig deeper. Boulevard La Rambla and Neighborhoods – Between the palm trees and apartment buildings, it is an almost 14-mile-long lively boulevard along the gorgeous coastline of Pocitos neighborhood. You can bask in the sun, enjoy the waterfront parks, ride a bike, or simply fly a kite. Wander no further than this boulevard if you are looking for a night-out to explore the city’s lifestyle. You can go for a self-guided sightseeing tour of the city in the barrio (neighborhood) like Prado, Pocitos, Punta Carretas, and Malvín. For a luxurious stay, you can choose from Radisson Montevideo Victoria Plaza Hotel, Belmont House Hotel, and Sheraton Montevideo Hotel. For mid-range accommodations, NH Columbia, Orpheo Express Hotel, Holiday Inn Montevideo, Crystal Palace Hotel, and London Palace are good options. Hotel Casablanca Montevideo, Ukelele Hostel, Caballo Loco Hostel, and Pocitos Hostel are some of the value-for-money accommodations. Civito, Torta Frita, Pancho, and Milanesa are the authentic cuisines of Uruguay. You can try local delicacies at traditional restaurants such as La Pulpería, El Tinkal, La Cocina de Pedro, and Empanadas Carolina. For continental and European cuisine, dine at Restaurant Tandory and Bistró Sucré Salé. You can also try Asados in the food stalls of Mercado del Puerto market. 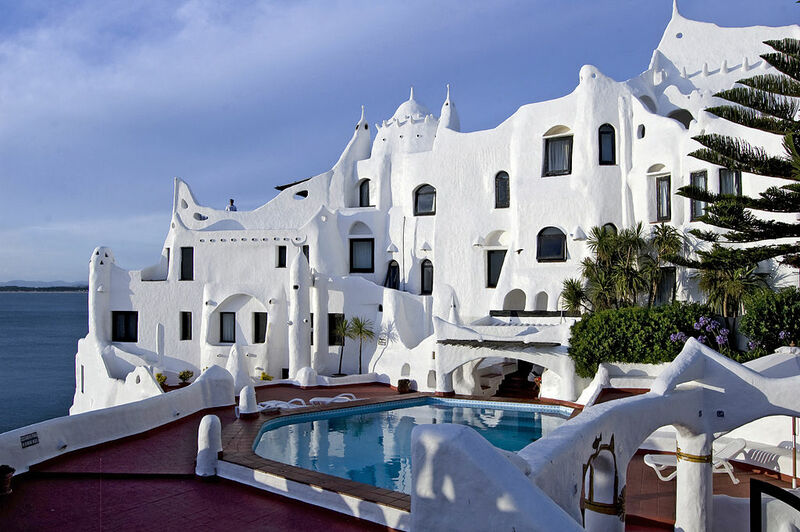 The city sits on the northeastern bank of Rio de la Plata in the southern coast of Uruguay. By Air – Carrasco International Airport (MVD) is 15 km east from the city center. Flights to and from USA and European cities are available in regular intervals. Route 101 links the airport and the downtown Montevideo. By Train – AFE is a state-owned rail transport that has three passenger trains to Florida, San Jose, and Ingeniero Victor Sudriers. By Sea – Buquebus operates high-speed ferry service between Buenos Aires and Montevideo. By Road – From Tres Cruces Bus Station, you can catch long-distance buses within Uruguay and international destinations. In Montevideo, December to March (peak tourist season) is an ideal time to enjoy beaches and outdoor activities. Winters (June to September) are wonderfully mild and you will find less crowd and more discounts. 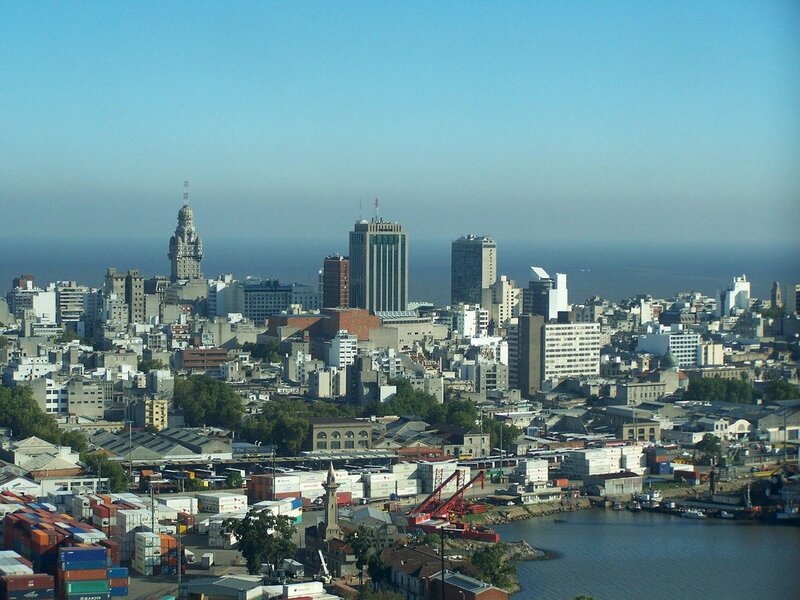 Montevideo is the capital of Uruguay since 1828 and the southern most city in the Americas. The city was founded as a fort in 1724, by a Spaniard named Bruno Mauricio de Zabala. 18 de Julio Avenue is the most important street in the city; it is named after the day (18th of July) the Constitution of Uruguay was written.